When it comes to Christmas (in fact when it comes to most things....) I'm a firm believer that more is definitely more. 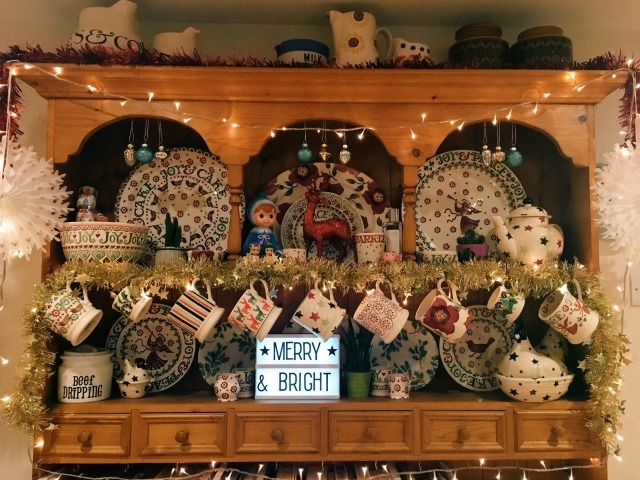 Last year I decided to let the children choose ALL the Christmas decorations, and this year I have totally embraced our 80s, multi-coloured, chip shop theme! When we were approached to work on a campaign with Poundland, I couldn't resist. I'm a big fan of Poundland; I just don't see the point in spending mega bucks on things that you can get for a fraction of the price so I head there to buy lots of office supplies and cookware plus, of course, seasonal bits and pieces - like Hallowe'en and Christmas decorations! This year Poundland have really excelled themselves. 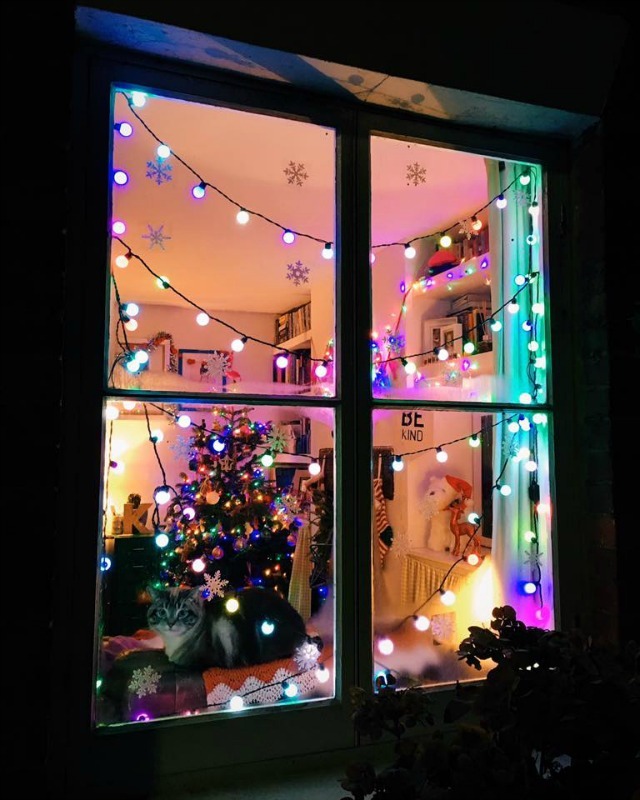 Their decorations and festive homewares are absolutely brilliant, and the collection is vast too. 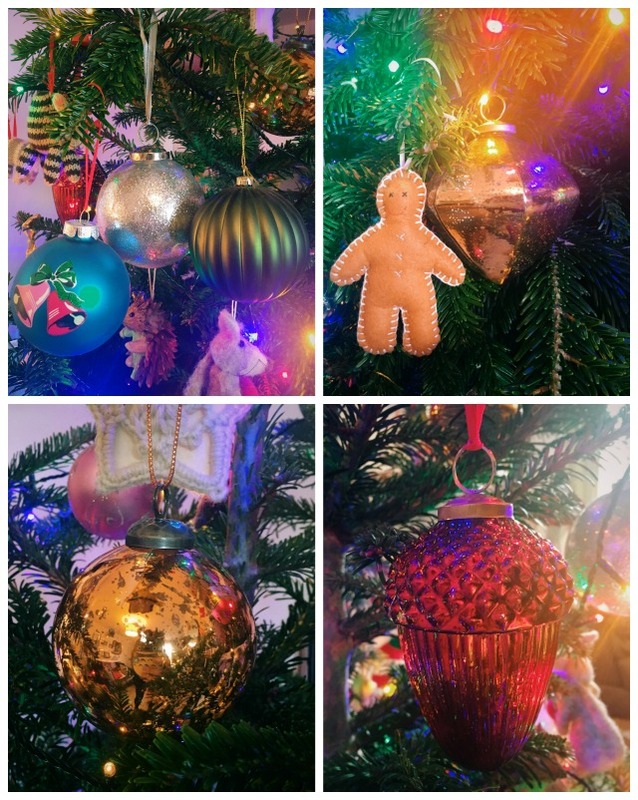 Most of the ornaments we have on our Christmas tree have been chosen individually for different, special, reasons but you always need fillers, and Poundland's tiny glass bauble selection are perfect for this purpose. 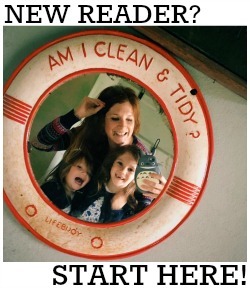 I also used them as hanging decorations on our kitchen dresser! 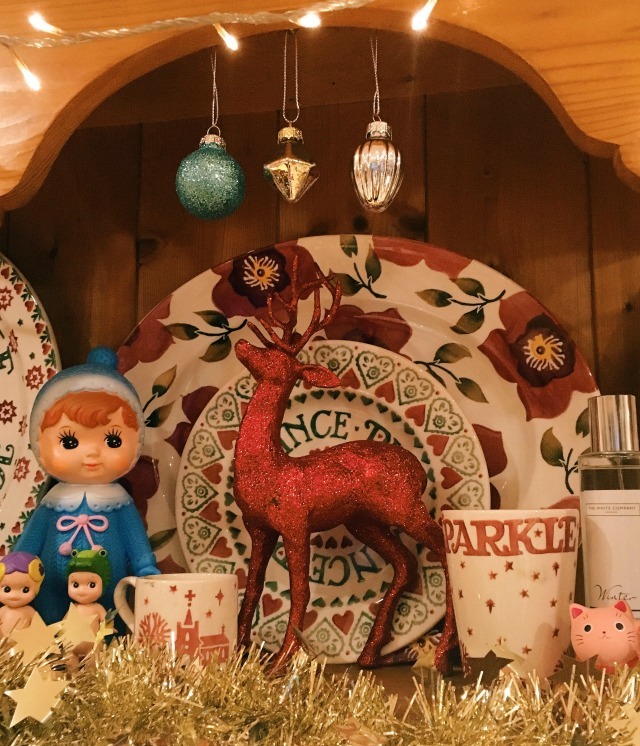 I really like festive ornaments and silly little bits and pieces everywhere - we have all sorts, including a musical singing westie dog (don't ask), a festive Mickey Mouse from Disneyland Paris, ceramic pine trees and I collect Emma Bridgewater crockery which fills my dresser at this time of year. 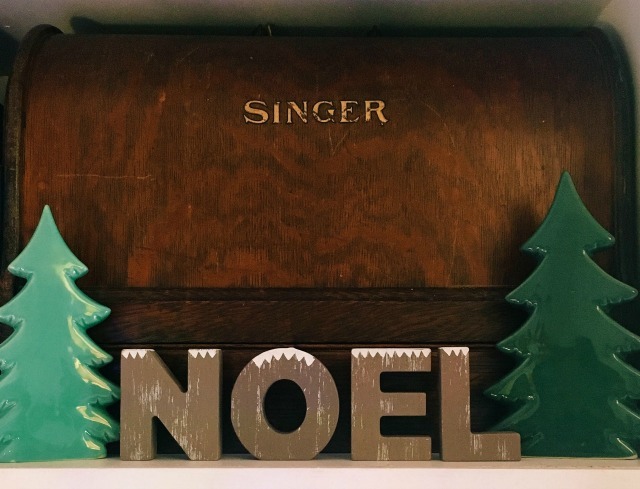 This year I added this sparkly reindeer from Poundland to the mix, and these gorgeous wooden letters too! Although they're not officially 'room decorations' there's no denying the Christmas tree is a pretty important room decoration in itself... so I couldn't resist buying some of these beautiful (huge!) 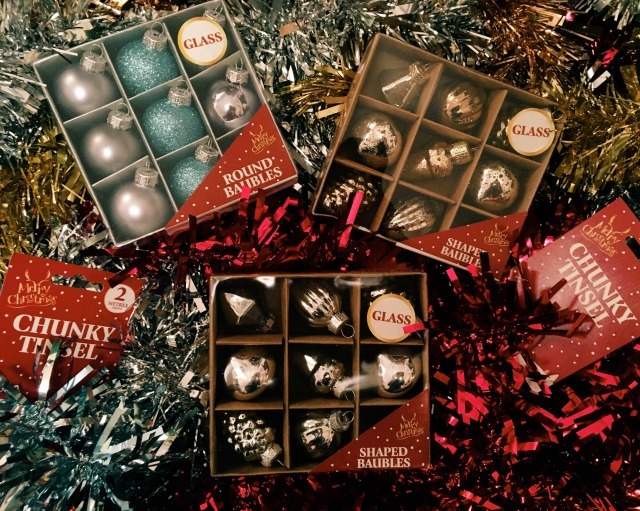 glass baubles for ours. 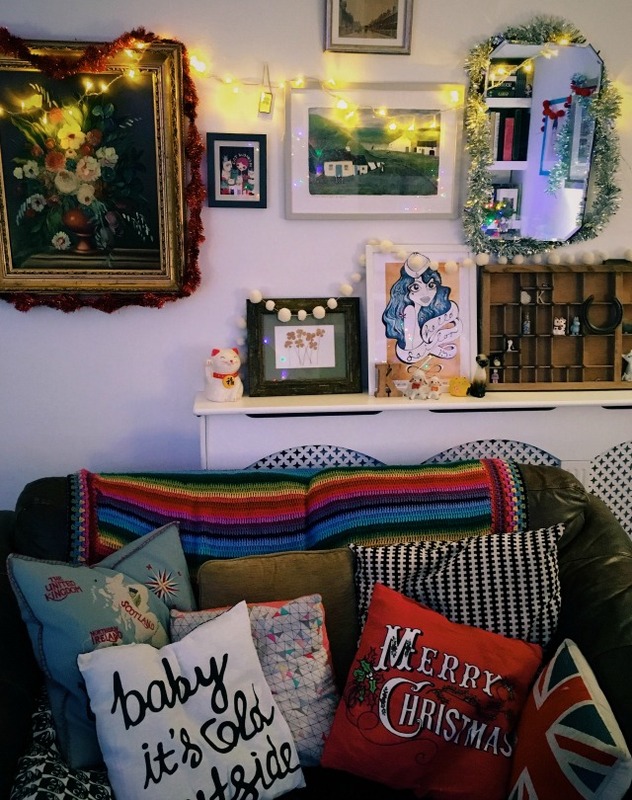 I thought the Poundland collection had a real vintage vibe to it, with old fashioned shapes and lots of bright colours rather than just the tradition red, white and gold. I loved the antique bronze glass baubles (so bought two!) and the glittery silver one (top left) is my absolute favourite; I think it looks amazing next to it's much more expensive companions. 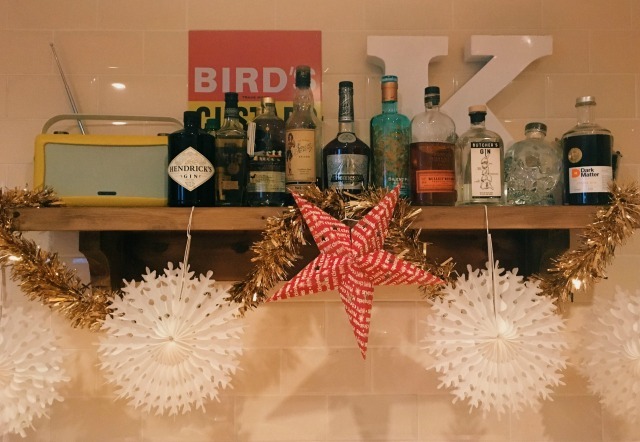 We will be talking all things festive over on Twitter THIS FRIDAY, from 12:30-2pm. 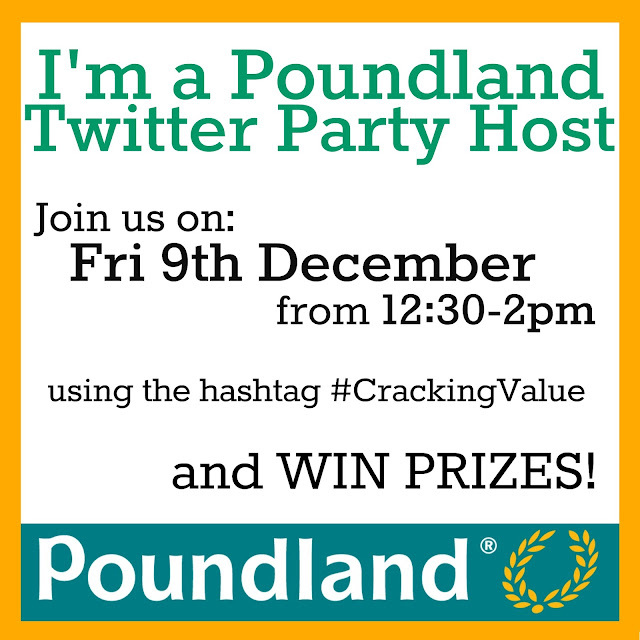 Join in, using the hashtag #CrackingValue, to be in with a chance of winning some brilliant prizes! Wowee I love your style lady! How absolutely joyous!